Get in on a Popdose 50CCM50 giveaway! Friend of the author, and of Popdose, Craig Bacon graciously offered some items for a 50CCM50-related giveaway and I thought the timing would be right for a lead-in to the last of our series, coming this Friday. 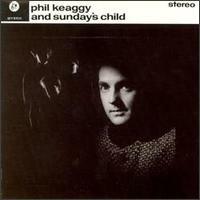 The second giveaway features two compact discs including Phil Keaggy’s Sunday’s Child and his instrumental album 220. Both albums are mandatory for Keaggy’s fans, but equally exciting for rock guitar enthusiasts. Keaggy is one of the best and these discs prove it. The rules are easy as pie: If you have not won anything from Popdose in the last month, send an email to dw.dunphy@gmail.com and answer these questions — Name the Neal Morse (Spock’s Beard) album that Phil Keaggy appeared on as a guest. The winner will be announced on Saturday, April 16, so stay tuned! Here are the caveats. These are used items. They look to be in good condition, but because they are not brand new items, the winner must be of the understanding that they might not perform as factory-shipped items might. Regardless, these are both great titles and collectable, so give it a shot. We think you’ll be glad you did. And come back tomorrow when we present another 50CCM50 giveaway!